Holds 12 x small parts cabinets in three layers of four cabinets. It’s common for smaller parts and components to be misplaced in a largescale industrial worksite. This can hinder productivity, since many of these parts play a large role in helping technicians complete the job. Whether it’s strapping units at a shipping company or screws in an automotive workshop, smaller parts can be difficult to maintain. 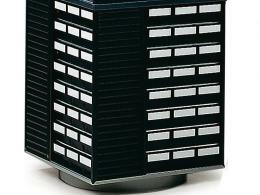 Many companies utilize small device storage units, but sometimes this isn’t enough. Though helpful, these smaller storage units can pile up quickly. The Workplace Depot is excited to offer an all-purpose storage solution that makes managing the organization of small components much easier. 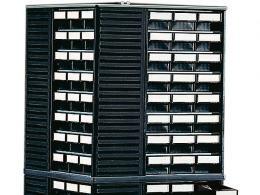 The ESD Spacemiser can fit numerous other ESD storage units and keep any workplace organized. What Is the Purpose of the ESD Spacemiser? The ESD Spacemiser is designed to help commercial worksites consolidate numerous other storage units designed for small parts. While these smaller units can be handy, they can sometimes be difficult to keep track of. The ESD Spacemiser allows a worksite to keep all of these smaller storage units in a convenient location where they can be accessed easily. 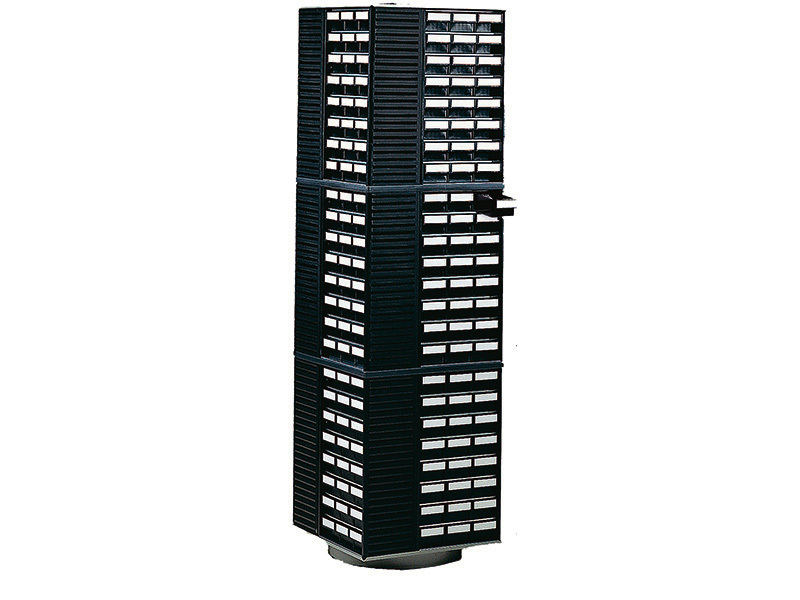 The unit can hold 12 small part cabinets in three layers of four cabinets. A ball bearing base, base plate, and dividing tray makes it easy to secure the unit and organize it to fit the needs of each project and company. In automotive workshops and engineering centres, small parts and components are often used. Small storage units can be great for keeping these parts well organized and protected while also allowing them to be retrieved quickly as needed. When multiple small storage units are kept on hand at a commercial facility, an ESD Spacemiser can prove to be a great addition. Every worksite manager knows that keeping their facility organized is the best way to help keep things safe and productive. An ESD Spacemiser can benefit any location by making it easier to store smaller storage containers. This can also help any technician work more efficiently as it allows them to easily locate smaller parts and components. This product measures 500W x 500D x 1730H mm. 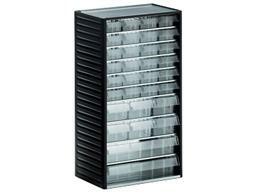 The cabinet can be ordered empty or stocked with ESD storage cabinets. Both models come with a one-year warranty.